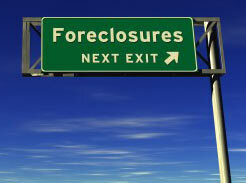 Many St. Johns county Loan modifications only delay a St. Johns County Foreclosure. Many are waiting for their approval for the Obama Loan modification who will never see it. Its very difficult to meet the criteria and even if you do it is unlikely to receive a loan modification in Clay county that will be of value to your and your family. Often the companies who collect the your payments will loose your paperwork or look for any technicality to disqualify you from the program. In the mean time, you may have waisted thousands of dollars on their trial program only to find out that you do not qualify. This process will go on for many months and is designed to wear you down so that you will accept their offer. If you look closely at their offer the total payments will not have changed. The will cut your initial payments but tacked on the balance to the end when the interest rates will be higher. This means you will actually be paying more for your home. If you home is upside down it will not change the fact that you will be overpaying for you home. There might be better options for you but unless you discuss them with a Florida Foreclosure Lawyer you will not have the opportunity to. Many loan modification agreement have clauses included which purport to waive your future rights to valuable claims against the banks, loan processors, mortgage servicers and those involved in the debt collection and debt servicing. Be very careful before you sign one of these agreements and do not attempt to do it without representation. 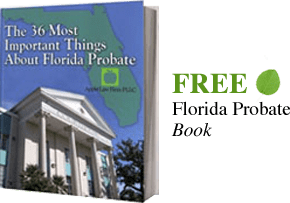 To know what options you have you should have your documents reviewed by a St. Johns Loan Modification Lawyer and Florida Foreclosure Lawyer today.